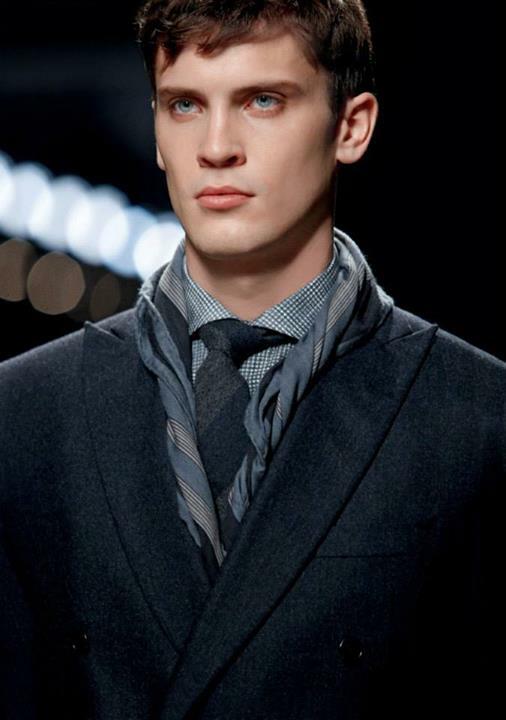 Bottega Veneta has brought forth latest Fall Winter Outfits 2013-14 For Men. Bottega Veneta is famous fashion label offering latest fashion accessories for men, women and kids; Bottega Veneta has created a new standard of luxury since its founding in Vicenza in 1966. Steeped in the traditions of Italy’s master leather craftsmen and long celebrated for its extraordinary leather goods, Bottega Veneta has recently emerged as one of the world’s premier luxury brands. A collection focused on the tailored suit and its modern permutations. 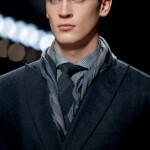 This collection is named as “Bottega Veneta Fall Winter Collection for men”. In this latest collection stylish men’s wear dresses are included for this winter season 2013. These dresses includes men three piece suits, leather jackets, stylish leather coats, leather bags, and winter shoes. The look is precise, proper, and urban, with an air of seriousness and a streamlined sense of purpose. The silhouette is sharp and close to the body, every seam perfectly stitched, every detail refined to its functional minimum. Frontier Fume Lambskin Bag, Bronze Fume Lambskin Briefcase, Frontiere Bronze Kari Intrecciato Club Fume Duffel, Ardoise Brique Frontiere Intrecciato Club Fume Briefcase, Ardoise Brique Watteau Intrecciato Club Fume Tote, Ardoise Fume Lambskin Informale Bag. Quetsche Double Wool Jacket, Watteau Fluid Light Wool Gabardine Shirt, Quetsche Double Wool Pant, Mauve Wool tie. 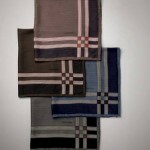 Wool tie shown in Taupe, Navy, Mauve, Bitume, Nero . 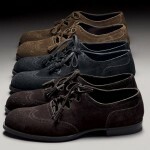 Nero Intrecciato Calf Shoe. Soft Nappa Glove shown in Ebano Nero, Nero Ebano, Prusse Nero, Ardoise, Prusse. 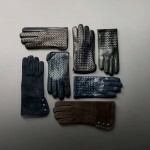 Nabuk Merinos Wool Glove shown in Ebano Nero, Dark Navy Tourmaline. Great collection for all men needs. You will find latest winter coats, jersy, Shoes, ties, ties clips, bags, and latest winter outfits in Bottega Veneta Fall Winter Outfits and accessorize 2013-2014 For Men..